Pound 4 Pound Boxing Report Podcast #91 – So… What’s Next? 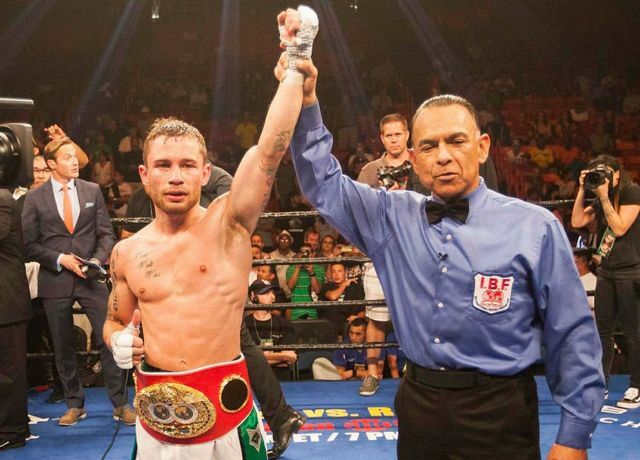 – Carl Frampton had a tough go early before taking control to defeat the tougher than expected Alejandro Gonzalez Jr. We examine the U.S. debut for Frampton as well as his future. – Chris Arreola scores a controversial win over Fred Cassi. Does Arreola deserve a potential showdown against Deontay Wilder? – Scott Quigg made quick work of Kiko Martinez, taking him out in two rounds. Does this change your opinion of a potential Quigg – Carl Frampton showdown? – Julio Cesar Chavez Jr., defeats Marcos Reyes (yawn!). Are boxing fans tired of Chavez Jr? – Amir Imam takes care of business against Fernando Angulo, knocking him out in four rounds. How close is it before Imam is ready for the big time?